How to Apply Science in Sport and Exercise? Latest How to Apply Science in Sport and Exercise? With large sporting events such as the Olympic games, the World Cup and, of course Wimbledon, viewed by millions of people worldwide, there is increasing awareness of the importance of science in sport. But what exactly is sport and exercise science? Sport and exercise science is the scientific analysis of how the human body moves, exercises and performs sport and exercise. It includes the sub-disciplines of physiology, psychology and biomechanics which provide the theoretical knowledge to enable application to practical situations. Physiology is the study of the way in which the body responds to exercise and training. Psychology is involved with seeking to provide answers to questions about human behaviour within sport and exercise environments. Biomechanics uses mechanical laws to examine causes and effects of human movements and their interaction with external apparatus and equipment. 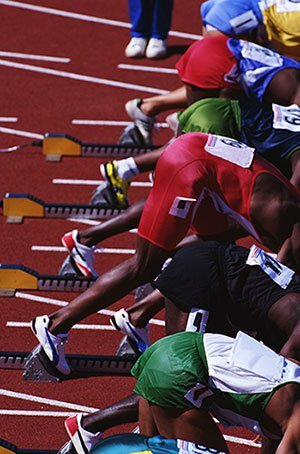 A sport scientist might design a training programme to increase a distance runner’s race speed or improve a basketball team’s ability to increase the tempo of a game, or help an athlete cope with pre-match nerves. An exercise scientist, on the other hand, might design a training programme to aid weight loss or improve muscle strength so that an individual can continue to perform daily tasks without becoming tired or to prevent falls in old age. Therefore, the contemporary subject which is sport and exercise science has the potential to impact on the lives of the young, elderly, healthy and diseased. A sport and exercise science degree may provide the first step towards an interesting and rewarding career. These may provide the first step towards an interesting and rewarding career. Similarly, postgraduate courses may provide advanced skills and knowledge within a specific area of sport and exercise science. Some courses offer the opportunity to gain work experience and employability skills integral to the course, making students very attractive to employers following graduation, either at undergraduate or postgraduate level. Study in these areas opens up career possibilities which are diverse and varied and sport, exercise and health science graduates can follow a career in the leisure industry, the National Health Service or private health care, as researchers, as teachers or educators, providing sport science support to athletes, or within local authority sports development.